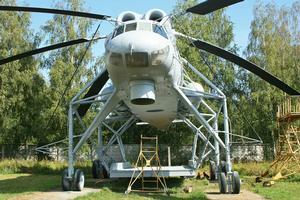 The Mil Mi-10, designated Harke by NATO, is a heavy cargo transport helicopter. 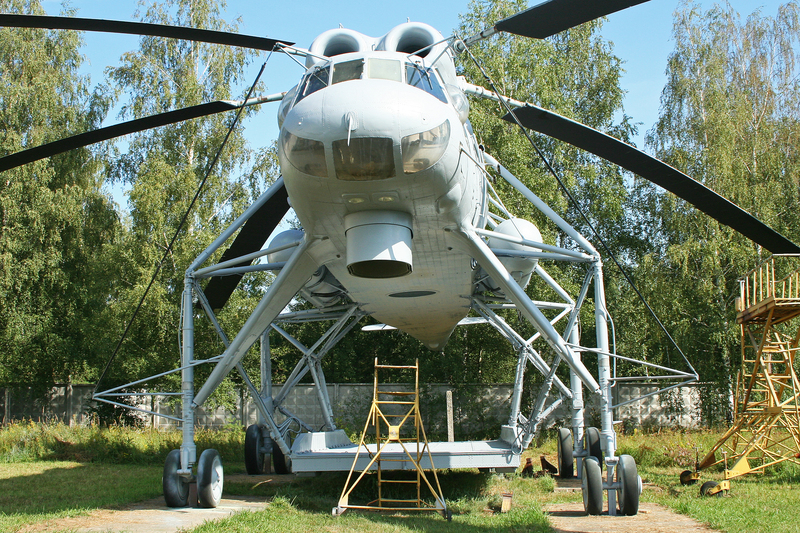 It stands with four legs, and holds loads beneath the fuselage secured with hydraulic locks. Maximum payload is 15000 kg--on a sling, the maximum payload is 8000 kg. Resources related to the Mi-10 , provided by the Vertical Flight Society. 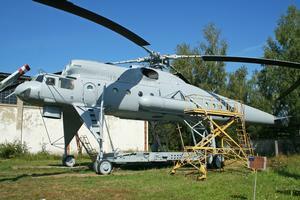 Resources related to the Mi-10 , provided by public sources across the internet.